Twilight of Avalon is the first book in a trilogy that retells the story of Tristan and Isolde – though “retell” might not be quite the right word, as what Anna Elliott does is use the familiar Arthurian frame to build a brand new story. Her source is Geoffrey of Monmouth’s twelfth-century version of the myth: a version in which Lancelot is absent, and Guinevere’s famous love affair is with Arthur’s illegitimate son and nemesis, Mordred. In Twilight of Avalon, Isolde is the daughter of that union. Both her parents are dead and gone, as is King Arthur. She lives in a world of constant conflict between Saxons and Britons, and, as a healer, she sees the effects of war from up close every day. The story opens in Tintagel, shortly after the passing of Isolde’s husband, the High King. As Isolde well knows, this gap in power leaves the Britons particularly vulnerable – and not just to dangers that come from outside. 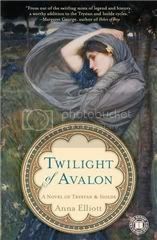 Though Tristan and Isolde are famous for their love story, Twilight of Avalon focuses more on political intrigue than it does on romance, which to me was a good thing. The book deals with several topics I care about: the role of women in society, the effects of sexism, the consequences of war and of a culture of violence, and how all of the aforementioned things are affected by a limiting definition of masculinity that renders acts of aggression mandatory, and considers anyone who behaves otherwise, male or female, weak and inferior. It’s a complex book, and I really liked that. There’s no “us” and “them” dichotomy; there are just people, some well-meaning, some greedy and selfish, some confused and scared, some angry and hurt. But they’re human, all of them, even the villains. It’s also a book that is filled with empathy: I particularly liked the scenes that show Isolde at work as a healer. Though concepts like “shell shock” are nearly a century old, we are only just beginning to acknowledge that fear in a military context is a natural human reaction, not an illness or a sign of cowardice. But the stigmatization is still there even now. Twilight of Avalon takes a look at how things might have been all those centuries ago; how scared, and how lonely in their fear, those men who were sent to war time and again must have been. I also liked the fact that Isolde was not a healer because she was particularly given to being caring and nurturing. I imagine that placing a character in a traditional role such as this and not having it turn out stereotypical to be hard, but Anna Elliott succeeds, and she manages to question gender roles into the bargain. Isolde does one of the few things that were available to her as a woman, but she's far from being a universal maternal figure. She's a person: no more, no less. The world of this novel reminded me of the world of books like The Mists of Avalon or Daughter of the Forest. They’re very different stories, but they deal with some of the same themes, and furthermore they seem to display a similar kind of sensibility and worldview. Some of these similarities include the coexistence of, and sometimes conflict between, the new Christian faith and the old Pagan ways, the backdrop of Celtic mythology, the importance of storytelling, and the fact that all these stories are told from a female perspective. Even though Twilight of Avalon is the first book in a series, the ending isn’t too frustrating, which was a relief. We leave the characters at a point where the immediate tension has been resolved, and what we know will be a new source of tension is still a long way off. I’m sorry if this sounds vague, but I’m trying to avoid spoilers. Another thing I’ll have to be vague about is the one thing that did frustrate me: sometimes suspense is achieved by withholding knowledge the characters have from the reader, and this is a technique I’m not always a fan of. But, that aside, Twilight of Avalon was a great read. I actually haven’t read any other retellings of the story of Tristan and Isolde (though Rosalind Miles’ has been on my radar for ages) so I can’t really say how this compares. But in any case, I think that the detailed characterization, the complexity, and the focus on power dynamics make this series stand out. Isolde’s eyes moved again to the altar. Despite the voices, she’d never once felt any sense that the dead yet lived somewhere—much less that any were with her still. She shivered, unsure which was worse. To believe that the dead were swallowed by blackness, vanishing to nothing. Or that they were trapped somewhere like flies in amber, endlessly repeating their stories to the wind. All about them, the dusk was drawing in. Twilight, the time of changing, when the selkies swam in from the ocean and shed their sealskins to become the fairest of men. And if a mortal fell in love with a selkie and wished him to return, she must go to the shore and cry seven tears into the sea. I thought this was a sequel to Mists of Avalon, which has been on my TBR for a long time. The extract you've chosen is a really nice one. I enjoy retellings of classic stories, particularly Arthurian legend. It sounds like this book really goes in-depth about the culture of the time. Sounds like a wonderful retelling and I love the excerpts you chose. I'm not very familiar with Arthurian legends, so I could probably learn a lot from this book. I'm glad the ending wasn't frustrating, I hate books like that. I just cannot take cliffhanger endings. I have seen this book around and it's getting nice reviews everywhere. Glad you liked it too. I really enjoyed this! I am buddy reviewing with Melissa (Book Nut), so I have to wait for her to finish to post my review! Everyone has such good book recs tonight - my list will grow past a mile long! I'm intrigued to see how successfully the non-maternal healer aspect is, it make's sense as being a healer was all about power, influence and knowledge for women but few books seem to acknowledge this. Sounds like a great book. I don't read enough Arthurian-type stuff; I always enjoy it. Thanks for the terrific review! This does seem to have a lot in common with The Mists of Avalon (a book I adore), thematically. Will be on the lookout; thanks for the great review! Hazra: It isn't, though there are several books in the Avalon series! I've only read Mists and The Forest House myself, though. Allegra: Yes, the cultural/social aspects are very detailed. That was one of the things I liked the most about it. Bermudaonion: The most-well known part of the legend is only in the background here, but I don't think you need to be familiar with it to enjoy it. Violet: Yeah, cliffhangers are very frustrating. I was very happy this didn't end with one! 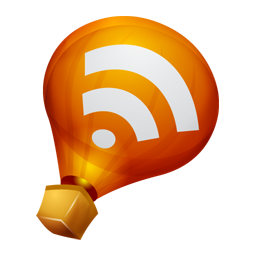 Kailana: I'm looking forward to your and Melissa's reviews! Jodie: You brought up a great point with what you said about knowledge and power - that's what it is in Isolde's case, and unsurprisingly she is mostly feared for it. Marie: I always enjoy it a lot too! ds: You're welcome! I adore Mists of Avalon too. This wasn't quit up there with it (then again, what is?) but it was still a great read. I have always had a particular weakness for the Arthurian legends. And the cover art is gorgeous! :-) Thanks for the great review. Yet again another very interesting and intriguing book Nymeth!!! I'm glad you liked this one too! I really appreciated the complexity of the characters too, and you've chosen some really nice quotes! Arrrrgh... (I meant this in a good way) another book into the wish list! Great review, Ana! This one's next on my pile; your good review makes me excited to get to it! I just saw the recent Tristan and Isolde movie for the second time, and what I liked best was the political intrigue. Should probably check this series out! I love books and movies from this era but unfortunately have read some real...yucks! I will have to check this one out. I've only read one novel version of Tristan and Isolde. I'd like to read more- there was a phase a few years back where I went through piles of Arthurian books. They were great. I've had this book on my radar for a couple of weeks, but your excellent review makes me want to bump it up to the top of the wish list. It sounds like a very complex story, and one that I could really get involved in. Great review, I will be looking forward to it. wow, I need to read this! and I love that Waterhouse artwork is on the cover. Wow, I haven't really been on the lookout for this book because it seemed like it would be just another Arthurian-era romance novel. But it is great that this one doesn't focus on that- sounds far more interesting! Thank you so much for the lovely review, Nymeth! I'm so glad you enjoyed the book. I'm admitting right now that I just skimmed through your review since I'll be reading this one soon. Actually, since I'm in between books I think I'll pick this one up next! I've seen a Tristan and Isolde movie, but other than that I'm pretty unfamiliar with the story. I'm so glad to hear that you liked this one, though. Complex is always good (ok, not always, but I think in the context you use the word it is). And so many other things to look forward to including the treatment of women. So--you think I can count this towards the Arthurian challenge? I've yet to read anything for it and this sounds like it would fit? I've got this on the pile, and I've heard nothing but good things about it. I'm antsy to read it, but the "books I plan to finish this summer" box is still half-full despite only having one week August left, and I'm antsy to read those as well... argh! Excellent review and point about reminding you of Mists of Avalon. I really enjoyed that book as well, and yes the tone of both is about the same. Meghan: The characterization was definitely my favourite thing! Melissa: Can't wait to see what you and Kelly think! Lenore: I haven't watched that movie, but if it involves political intrigue too then maybe I should! booktumbling: I've actually been pretty lucky, though some were better than others, of course. Jeane: I went through an Arthurian phase myself. I kind of miss it! Naida: Yes, the cover is gorgeous! Aarti: It was definitely different from any other Arthurian novel I've read! Fyrefly: Sigh, I know the feeling. My pile of books to get to soon seems to multiply while I sleep. Jenny, you're welcome! I need to read Mists of Avalon again...it's been a long while and I miss it. Sounds really good. I must catch up on Juliet Marillier and Rosalind Miles before starting a new series though! This is on my pile to read this year and I may have to bump it higher after your review. I also hope to read Rosalind Miles' series as I enjoyed her Guinevere books. I didn't know this was part of a series and the changes made to the traditional tale sound interesting.